Store and process all your media assets centrally to share across multiple websites. Organisations with a large amount of media assets (Images, videos, PDFs etc) need a way of storing and processing these centrally to share across multiple websites. PreviousNext has built DAMs for a number of clients, each customised to work with the specific requirements of the organisation. 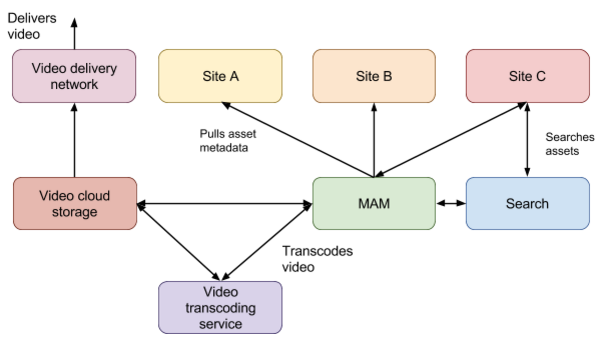 Integration with 3rd party video encoding and distribution networks such as Brightcove and Ooyala. DAM content editors add custom metadata, including categories, tags, author information etc. The site displays an embedded video player which allows for most optimal formats, sizes, etc. In addition, the site can make use of a search web service, with the ability to do faceted search from within the admin section of the site, allowing it to pull in specific videos when needed. Before you spend tens of thousands of dollars on a hosted Digital Asset Management service for your Drupal site, we’d recommend you start by looking at what you can do with existing Drupal modules and cutting edge cloud services. The Queensland Building and Construction Commission (QBCC) regulates the building industry throughout Queensland, providing information and advice to ensure the maintenance of proper building standards and remedies for defective building work. They required a new content management system and updated design as part of an ongoing evolution of their digital presence.